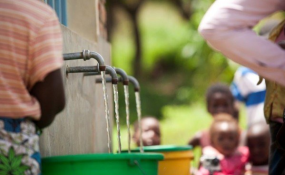 Mara — TANZANIA and Kenya will benefit from a United States Agency for International Development (Usaid) funded project that seeks to improve sanitation facilities and water service in 14 schools located near Mara River. The implementation of the project called "wash" will begin early next year, according to Lake Victoria Basin Commission (LVBC) Executive Secretary, Dr Ali-Said Matano. He said $460,000 would be spent on the implementation of the pilot project in the two East African sister countries. Already heads of the beneficiary schools have met with LVBC officials to sign a Memorandum of Understanding (MoU) that will see smooth implementation of the project. The signing ceremony was held at Goldland Hotel in Tarime Town, Mara Region, recently. The project is expected to address sanitation and hygiene related problems facing the selected schools with sufficient sanitation facilities for girls getting top priority. "Selected schools are 14 from Tanzania and Kenya and they are located near Mara River. The MoU will also help conserve the important river, which flows into Lake Victoria," Dr Matano said during the signing ceremony of the MoU. "We are taking this initiative seriously and I am happy that it has the ingredient of environmental conservation," the LVBC executive secretary said, thanking Usaid for funding the project. Officials from both sides welcomed the wash project expressing hope that it would be helpful especially for school girls. "Wash is a meaningful project to us because schoolgirls face numerous challenges due to shortage of toilets and sanitary towels," said Maclean Nyaboke, the headmaster of Siria Girls Secondary School in Kenya. Mr Anthony Revocatus, a senior education official from Serengeti District mentioned six secondary schools that would benefit from the wash project as Serengeti, Nyamoko, Mama Maria Nyerere, Nyansurura, Busawe and Ikorongo. "All these schools are near Mara River and the project will relieve our students from walking long distances looking for water," Mr Revocatus noted. The Mara River is shared by Tanzania and Kenya. It starts from AMU Forest in Kenya and runs through Maasai and Serengeti National Park. The river's final destination is Lake Victoria on the Tanzanian side.